26.2 Quest: The 13.1 Atlanta is Almost Here–Run It For Free! We are inside the last 30 days and the weather is starting to change to prepare for the cool morning temperatures that are sure to greet us as we line up on October 2nd in Town Brookhaven for the third running of the 13.1 Atlanta and the Karhu 5k. The fall weather in Atlanta is some of the best when it comes to running weather, and the Atlanta stop to the 13.1 Marathon Series takes full advantage of it. If you are planning on running the 13.1 Atlanta or if you are planning on running the Publix Georgia Marathon in the spring you need to take a look at the ATL Challenge. The ATL Challenge rewards runners who complete both the 13.1 Atlanta and the Publix Georgia Marathon or Half Marathon. Make sure you check out the details and get signed up for for the ATL Challenge, as well as the 13.1 Atlanta and Publix Georgia Marathon or Half Marathon. So, you want to run the 13.1 Atlanta and you haven’t signed up yet? Or maybe you have signed up, but you are trying to talk someone into running it with you? You still have time to register and it is not too late to build a few more miles into the schedule before race day if you have found your motivation lacking lately. 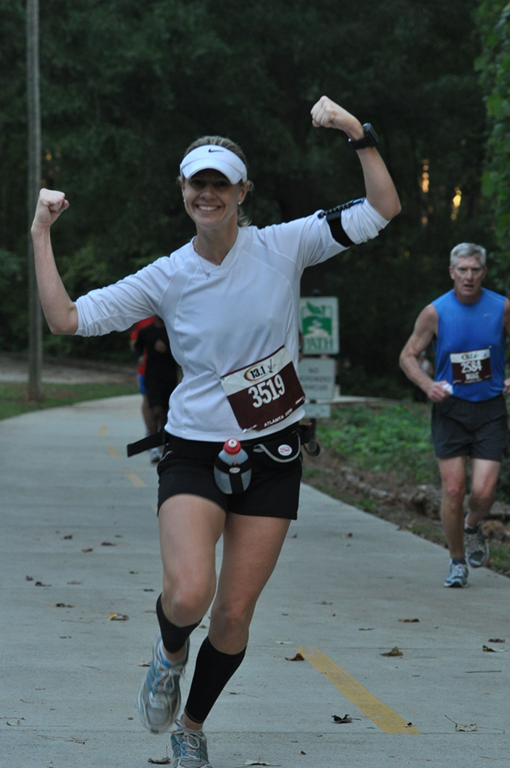 Or….. Run the 13.1 Atlanta for free! Your other option is to take advantage of US Road Sports generosity and run the race for free! One of you will be walking (or running) away with a free race entry for just taking a moment to enter below and sharing this giveaway with all your friends. One lucky winner will receive a FREE entry into the 2001 13.1 Marathon Atlanta which will be run at 7:00 am on Sunday October 2nd. Entries will be taken through September 20th and the winner will be chosen randomly on Wednesday the 21st. Leave a comment, any comment…. but this is so easy you could enter at least one other way. Follow the @131Marathon Twitter account, or Like the 13.1 Marathon Fanpage. If you decide to go crazy you can get a lot of entries, just leave a comment for each one to ensure no entries are missed. To make sure you don’t miss the winner announcement make sure you join the 26.2 Quest Community at the 26.2 Quest Fanpage, follow the @262quest Twitter stream, and subscribe via RSS. There is always something going on and I would love to have you as part of the community! My entry - Can I get a plane ticket to Atlanta as well? I like turtles.... and the 13.1! And I already 'like' the 13.1 fanpage! I've wanted to run this race since Mary Chind told ms about how awesome it was last year! Thanks for the opportunity to run it for free! My email is in my profile just in case you need to contact me should I be the lucky winner! I shared on dailymile!!! Love that site! My DM account Automatically updates my running twitter account (@doublejogger) so I shared on twitter, too! Thanks for this great opportunity! Awesome giveaway! My training schedule for the R&R Marathon in Savannahcalls for a half marathon that weekend, this would work perfectly! I'd love to run for free! Tim, Enjoy following your blog and hope you get back to full running soon. Here is my entry. I've really been battling my marathon training this year (and losing the battle) and could benefit from the reality check of running 13.1. It is a great race! Hope to run it this year again.